Give your pride and joy a new lease of life! 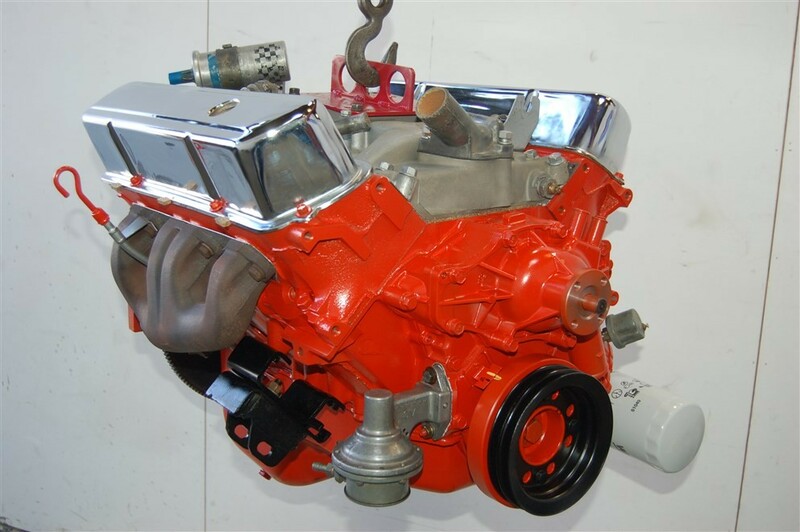 1979 Holden HJ 253 V8 engine restored. Picture courtesy Ian Billing. If your engine is on its last legs, then the options are: buy a second hand engine to replace the old one, recondition the existing engine, trade the vehicle in if it's still going, or sell the whole vehicle for parts. Engine reconditioning involves replacing worn or broken parts inside a vehicle's engine with new parts, giving a battle-weary motor a fresh start. Engine reconditioning work is at the expensive end of mechanical repairs, and can cost owners between $4000 and $8000. It becomes an option when a vehicle is difficult to replace because of its purpose, or because of its value as a collectible, or when the cost of buying a replacement engine is too great. Auto Care Kilbirnie mostly reconditions engines for owners of classic or hobby cars, commercial vehicles fitted out for specialised use, and tow vehicles. What causes an engine to fail? Overheating is the most common cause of engine failure the mechanic team at Auto Care Kilbirnie sees. This can be the result of a poorly maintained cooling system, or something unfortunate like a stick through the radiator. The second most common form of engine problem they see is an engine that's burning oil. White/blue smoke coming out of the exhaust pipe is a tell-tale sign of this, potentially due to worn pistons and rings inside the engine. This is often picked up during warrant of fitness checks, as there are WOF criteria around engine smoke. A blown head gasket, the result of overheating, might cause problems deeper down in an engine. We call it "the can of worms", says Kevin, Auto Care Kilbirnie owner. "Once you take the head off, and you get any deeper than that, you're committed. There are some parts of cars that when you pull them apart, you can't really put them back together without replacing them. If things are corroded and worn, you can't just shut both eyes and go 'she'll be right'." In this situation, the first thing we'd do would be to find out the cause of the overheating, ascertain the likely depth of the damage, then give the customer multiple options. We might recommend replacing the engine with a good second-hand engine we source from a reputable wrecker. We're always up front with people and say "do you realise this could turn into a bigger job?". Sometimes they reply "we love this car, go for it", and sometimes they'll want to call it quits. We're not afraid to say to people "don't spend this money on this car". We'd sooner give you the bad news early and steer you away from unnecessarily big expenses. We explain to people why things cost as much as they do, and how long their car will be in the garage for. People appreciate us spending time to walk them through the work required. Our customers appreciate this honesty, and we're often asked to give "second opinions". Most of our engine reconditioning work is for classic car owners. Parts are not readily available for many classic cars and you can't just go out and buy a second hand engine. We go the extra mile to find the necessary parts to complete the job. We're in touch with people who make parts for classic cars and there are outfits around New Zealand who have a supply of parts. We'll often try and source the parts before classic car owners bring their pride and joy in, to make the restoration process more streamlined. Some manufacturers have quite serious issues with premature engine failure in vehicles that have done only moderate mileage. A broken timing chain - one such problem - can cause catastrophic engine damage. With some newer models that experience "blow-ups", it might work out cheaper to recondition the engine than buy a second-hand replacement. If your car experiences engine failure on the road, give us a call and we can arrange to get the vehicle towed to our garage. Get in touch to discuss options for giving your engine a new lease of life.